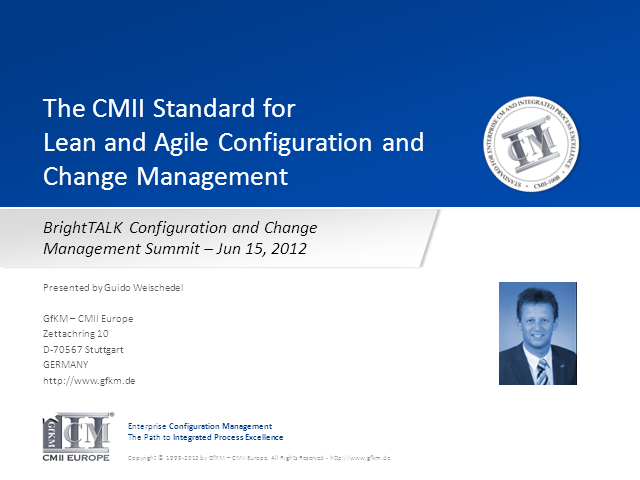 More and more organizations need to establish a formal change process as part of a configuration management system. Organizations with a formal change process in place would like to speed it up. improve existing processes or to implement an efficient process framework. CMII extends the scope of CCM and gives it an enterprise-wide perspective. It is designed to make the organization lean and agile and to prevent failure. The presentation gives a first insight in how CMII works and how it can be used as a reference model for achieving requirements from different CCM standards.